Embroidery machines were popular and used by apparel business owners in the 1980s. Embroidery machines provided a means to work fast and have a high quality end product. There was, the manufacturers of embroidery machines realized, also a growing interest in embroidery machines for home use. With the advent of this discovery, the home use embroidery machines began to be produced. 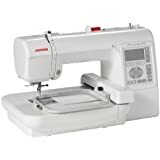 These machines were manufactured with the home hobbyist in mind and converted the embroidery process into an easy and inexpensive process, making the machines and the work easy for a homemaker to accomplish. How much sewing experience do you have? Have you ever done embroidery before? 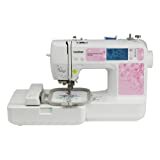 Do you already own a sewing machine? How old is that machine? Were you possibly going to replace it soon? Do you want your new machine to be able to do all of what you have done before and also be able to embroider? Do you intend to use the Embroidery Machine just for your personal use, creating homemade embroidered gifts and embroidered items for around your home? Or, do you have a desire to start a small home business doing embroidery for others? Answering these few questions will set you on the right path towards making a good choice for your specific needs. 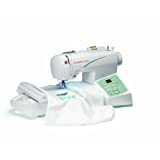 There are several very popular brands on the market today, this makes it both easier and harder to choose which machine is the best embroidery machine for beginners. With the right embroidery machine, suitable for your situation, you can mend your clothes, design your own customized embroidery works, or even run a small home embroidery business with ease. This is a very important question to answer. 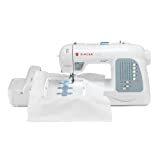 If you have a great deal of experience in sewing, the transition to sewing and embroidery will not be as significant of a factor, and your machine decision can be based on your preferences for quantity of stitches, embroidery area, and machine quality. 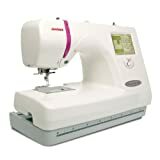 If your sewing experience is very minor, perhaps you will want to get a very good combo machine. 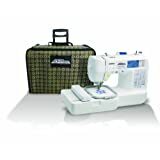 A machine that can both sew and embroider, that is sturdy and easy to learn how to use. Something to remember in this process is most, if not all, Embroidery Machines are computerized and will require some experience with a computer interface in order to make the machine perform it’s magic. Go here to read about a couple of machines that may fit your budget and design needs. Another thing to consider in this section is whether your current machine is a modern machine with all of the bells and whistles that are inherent in the newer machines. 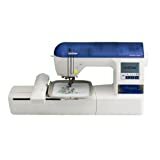 If you love your old sewing machine, and just couldn’t part with it, perhaps you need to investigate an embroidery only machine. 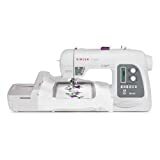 That way you can keep your older, much valued, sewing machine and get more bells and whistles for your new Embroidery Machine. A great comparative list can be found on this page of our site. Will your embroidery machine be for home/personal use? A single head machine would be the best embroidery machine for personal use if you’re planning to create customized items such as personalized gifts. A single head machine is the most common, but there are commercial machines with multiple needles that speed through the embroidery process lickety split. 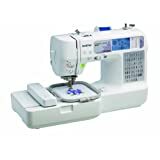 Like this Janome MB4 macho machine. Remember while making these purchasing decisions, the place where you are going to set up your machine can determine the size of machine you can buy, unless, of course, doing a minor remodel on your home is a part of the buying decision. For projects that demand numerous types of the very same design such as logo embroidery, a 4-head embroidery machine is the most ideal. It bears multiple needles and several colors can be threaded before you begin working on the design– lot of time is conserved. Moreover, units are usually large, so it’s really the best embroidery machine for commercial and heavy use. Multi-needle machine raises the bar for embroidery in regards to crafters, amateurs, and home-based business owners. This embroidery machine is the rational succeeding step for anyone who loves to embroider and desires to have more fun whilst enjoying a lot more embroidering features to generate a source of income. Furthermore, these machines complete nearly all multi-color designs more efficiently and with greater accuracy than most single-needle machines. Although these are more expensive than the other types of embroidery machine, it’s worth the cost if you’re searching for the best embroidery machine to use for a business. Single head machines are more affordable than double head embroidery machines. Although, a single-head machine can only sew one garment at a time and it’s an economical option if you’re going to do small orders or particular customized design. On the other hand, if you’re going to create large amounts of designs, a single head machine will significantly restrict your production competency. Double head machines will double your capacity- which primarily means reducing your production time in half. The power to come out with twice as much in the same amount of time could make the additional expense in your machine compensate. In fact, it can make a major difference between dealing with orders that could make your business profitable and being trapped doing small orders that’s hardly profitable. Aiming for a cost-effective embroidery machine may be a cry for the moon, but there are tricks to make your first commercial embroidery machine purchase more economical. 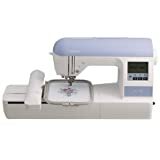 If you’ll try searching for one online, you’ll come across quite a few websites which offer all brands of new and second hand commercial embroidery machines for sale. A lot of them offer remarkable prices for used embroidery machines as well as credit and lease terms to make your commercial embroidery machine investment significantly more affordable. Lastly, never feel compelled to purchase a higher priced model, thinking it would be the best embroidery machine. Take into account that a seller will never attempt to provide you with a particular sale price that you need to accept right away or pass up. Rather, they would offer you the complete opposite, an extension of a special price which means you will have enough time to make a smart decision.